Submitting a 276 status request to a payer is the first step in the claim status request/response process. The payer provides the requested information in response to the 276 request using a 277 Claim Status Response transaction. Inbound 276 transactions may also result in an immediate 999 Receipt Acknowledgement, followed by the 277 response with the requested status information. The use of EDI 276 inquiries, along with the 277 response, replaces the manual process of managing payments and claims. Hospital or clinic administrators process hundreds of claims or more. Waiting for payments or monthly statements from insurance companies before the provider can reconcile their charges and billing patients for their portion means the entire process could take months for each transaction. By submitting the inquiry via EDI with the 276 transaction, administrators can receive the information more quickly and with little or no manual intervention. In addition to meeting HIPAA requirements, exchanging this information electronically helps reduce revenue cycle times and improve efficiency. Improve the efficiency of your EDI operation while meeting HIPAA requirements. 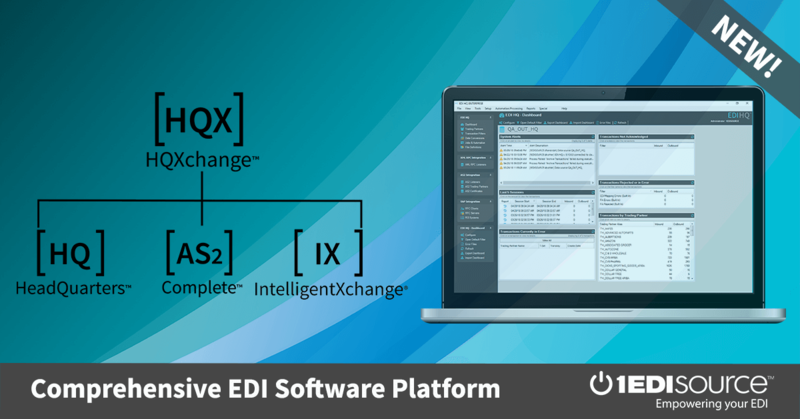 EDI/HQ™ Healthcare advanced EDI software gives you powerful EDI capabilities, plus additional support for healthcare-specific transactions. Contact 1 EDI Source to schedule a demo. This X12 Transaction Set contains the format and establishes the data contents of the Health Care Claim Status Request Transaction Set (276) for use within the context of an Electronic Data Interchange (EDI) environment. This transaction set can be used by a provider, recipient of health care products or services, or their authorized agent to request the status of a health care claim or encounter from a health care payer. This transaction set is not intended to replace the Health Care Claim Transaction Set (837), but rather to occur after the receipt of a claim or encounter information. The request may occur at the summary or service line detail level.